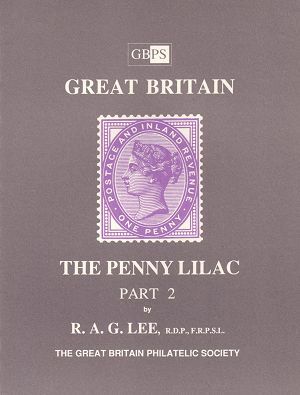 This second part of Ron Lee's work on the plate varieties on the 1881 Penny Lilac covers damage and minor varieties of the four segments, letters and ovals. The first part (published in 1963 and now out of print) dealt with frame damage. The author personally examined over 3.5 million copies of the Penny Lilac in the course of preparing these two volumes.